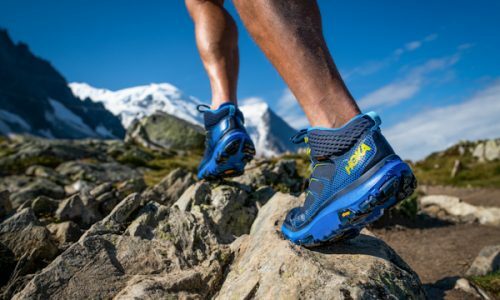 One of the big product announcements to come out of last week’s Outdoor Retailer convention was a new addition to the ever expanding line of specialized shoe soles made by Vibram. The company practically owns the market on the soles that go into our active footwear, with dozens of companies incorporating Vibram’s offerings in their own products. But the new Arctic Grip technology is said to be revolutionary in how well it holds it grip, even on ice. 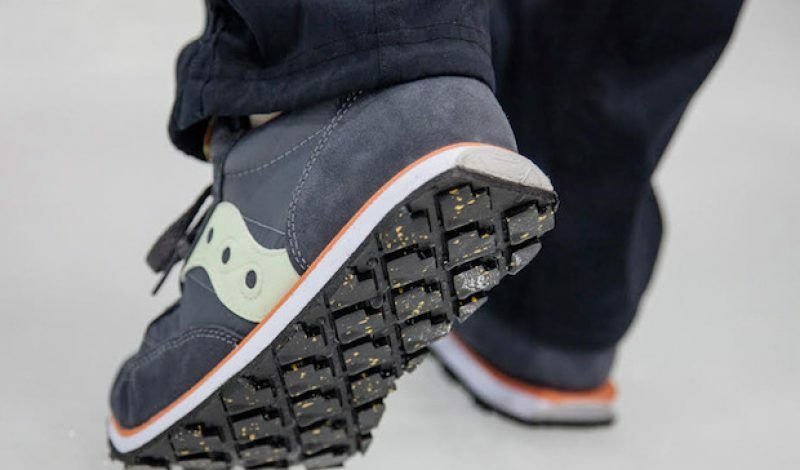 Vibram says that the Arctic Grip soles are its most advanced cold weather gripping system that it has ever produced, and while it won’t say exactly what went into the product, it does give some indication of what makes it special. Shoes outfitted with these soles will include special lugs that are designed to provide unprecedented traction on wet ice, which is the slickest of surfaces that we tend to come across in our outdoor activities. Additionally, if the temperature falls below 32ºF, the lugs change color to indicate that conditions could turn slippery. When the new sole technology was announced it was also revealed that Arctic Grip would be available exclusively in shoes that are made by companies that fall under the Wolverine Worldwide umbrella. That includes footwear from Merrell, Sperry, Saucony, Hush Puppies, CAT, and Wolverine itself. Each of those brands will release models that incorporate this new type of sole later in the year, with everything from running shoes to hiking boots to dedicated winter boots receiving the new sole. So how does Arctic Grip perform? At Outdoor Retailer Vibram had a test system set up similar to the one that you’ll find in this YouTube video. 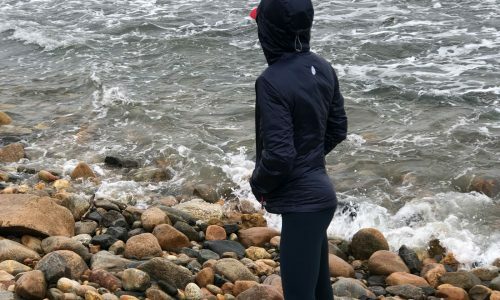 This gave attendees at the show the chance to put the new shoe technology to the test by donning a regular shoe without Arctic Grip, and one that incorporates the new sole. We were then encouraged to walk across a block of ice to compare the difference, and I have to say that it was indeed dramatic. The shoe with Arctic Grip held in place much better than the one without, and it wasn’t even a close contest. It was hard not to come away impressed. To be fair, I did a similar test in Salomon’s booth that used their new sole technology too with similar results. In the case of that demonstration we were tasked with walking up an incline of slick, wet marble, but the results were pretty much the same. The shoe with the previous generation sole had a difficult time holding its grip, while the new model stayed firmly in place. What was clear from both of these tests is that we can soon expect our boots and running shoes to have much better traction on icy, wet, and slippery surfaces. How soon? Probably not until fall of 2016, which is when Wolverine will begin shipping the first boots that use Arctic Grip. Until then, watch your step on that ice.